To read Anderson’s complete 24-page paper, click on the following linked title. Alternatively, below is a reposting of the excerpted passages selected for Part 5, a very short post. What would a 4°C world mean? The current situation is highly precarious. It is easy to resign and claim that the necessary changes are impossible to achieve and that we are going to have to live with higher temperatures. For this reason, it is important to examine what these higher temperatures mean. Let us imagine a 4°C future, the level of warming we seem to be heading towards, if not more. 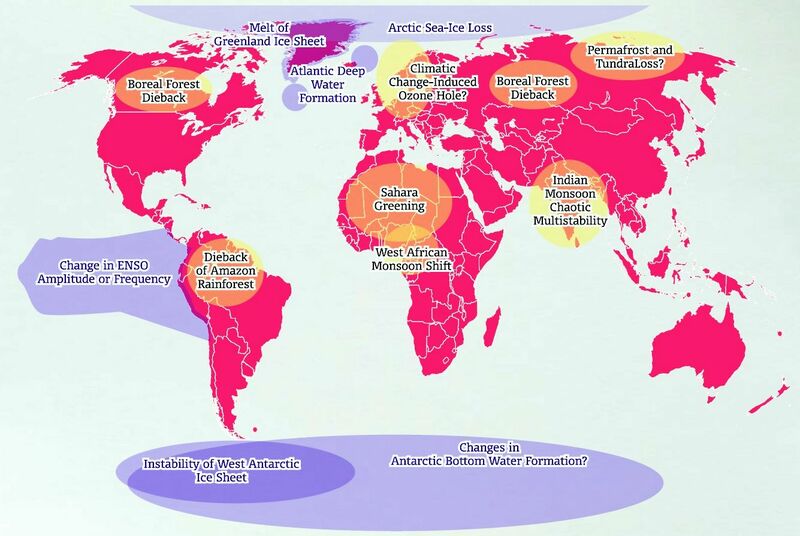 Let’s look at a snapshot of a 4°C world. A global mean surface temperature rise of 4°C equates to around 5-6°C warming of global mean land surface temperature. during New York’s summer heat waves the warmest days would be around 10-12°C hotter – all as a consequence of an average global warming of around 4°C. As it is, our infrastructures and our way of living are not attuned to these temperatures, with the very real prospect of dire repercussions for many – particularly for vulnerable, communities. At low latitudes, 4°C would result in reductions of around 30-40 per cent in the yields of important staple crops such as maize and rice, at the same time as the population heads towards 9 billion by 2050. It is fair to say, based on many (and ongoing) discussions with climate change colleagues, that there is a widespread view that a 4°C future is incompatible with any reasonable characterization of an organised, equitable and civilized global community. A 4°C future is also beyond what many people think we can reasonably adapt to. Besides the global society, such a future will also be devastating for many if not the majority of ecosystems. Beyond this, and perhaps even more alarmingly, there is a possibility that a 4°C world would not be stable, and that it might lead to a range of ‘natural’ feedbacks, pushing the temperatures still higher (Lenton, 2008). This entry was posted on December 9, 2014 by fjwhite in climate change, climate change red flag warning, evidence based counterpower, scientist's counterpower and tagged climate change impacts, Kevin Anderson.